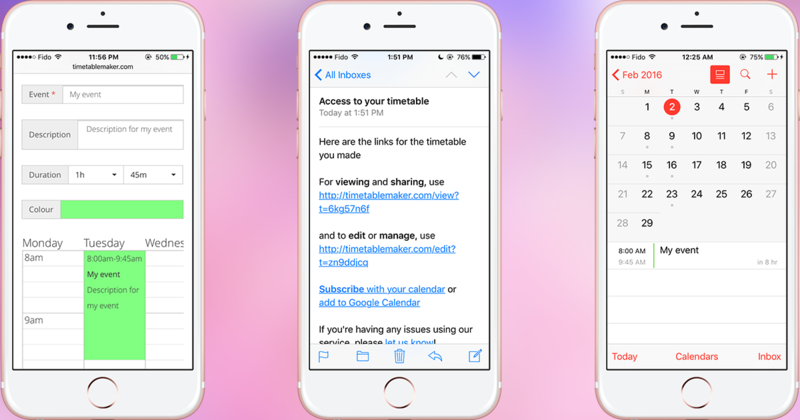 Timetable Pro is an application that is useful for creating and managing timetable for lectures and lessons. 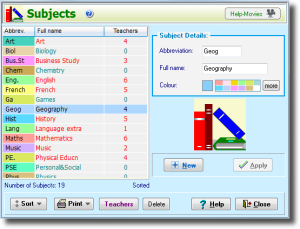 It has basic functionalities that allow users to input a list of classrooms, teachers and subjects. It will then set a link between the subject workloads and teachers. 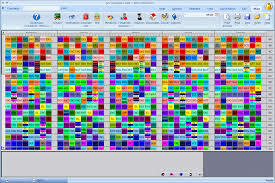 This application allows for automatic or manual generation of timetable that can be exported in Excel for printing. Designed to be an administrative tool for schools and universities, FET has numerous functionalities for fast and efficient scheduling of timetables. It allows for both automatic and manual generation of timetables that can aid in organizing students, teachers and rooms. When making timetables, this software provides a flexible students structure, organizing them into groups, subgroups and year levels. It also has flexible selections for space and time constraints. However, it does not provide a step-by-step guide on how to use it. 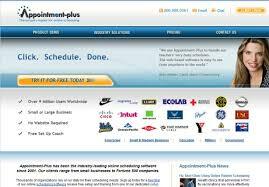 Appointment Plus is an online scheduling application that is flexible and versatile. It can be used by educational institutions for registrar services, financial advisory, room scheduling, and tutorial among others. Once a schedule is made, it will notify students, faculty and staff on the date of their appointments and classes. One of its advantages is that it will help ensure that there will be no overbooking or wrong booking and that all the schedules are current. Another comprehensive scheduling tool with a free version is ASC Timetables. Among its prominent features are automatic timetable generation with the option for manual adjustment and a powerful algorithm that can quickly check for any conflict in schedules. It also has a simple interface with a simple data entry procedure. With one click, you could publish and share the schedule with students and teachers on their smartphones or other mobile devices. 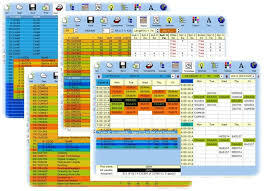 Even large and complex timetables can easily be handled using Wise Timetable. 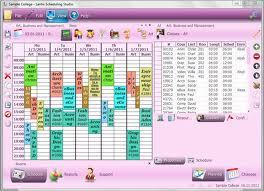 One of the formidable features of this software is its automatic or manual multiple-week course scheduling. This feature is especially useful for colleges and universities to ensure that there will be no conflicts in the schedules for teachers and students. 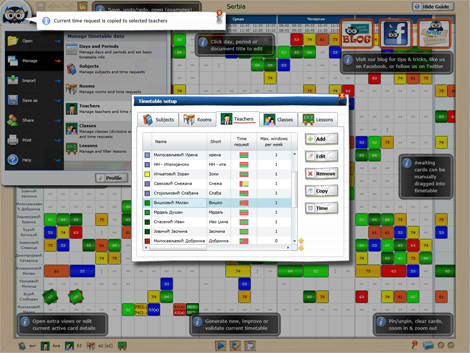 It also allows for Web access and Web-sharing of completed timetables. Prime Timetable is a comprehensive application with numerous capabilities that can be useful for effective scheduling, such as automatic timetable generation and customized cards which let you choose your preferred text, color, borders and text position for your timetable. Once your timetable is done, it also allows you to share it with colleagues and teachers with pre-assigned privileges. Regardless of the type and size of your school or university, Mimosa Scheduling Software can handle the scheduling task for you. This application has an intuitive and user-friendly interface which allows you to make timetables with ease. It has an enormous capacity to create and manage up to 300,000 timetables. 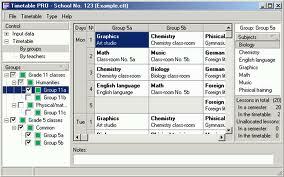 It can also be used by several school departments whose schedules can be later merged into a network. Best of all, if you purchase the premium version of this application, you are entitled to free lifetime software updates. 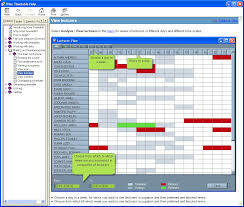 Lantic Scheduling Studio 7 has numerous useful features for quick and efficient scheduling. It allows for the creation of groups and subgroups for proper hierarchy of activities. Even subjects can also be grouped into different hierarchies for easy reference. Additionally, this software has features that let you define room capacity as well as distances between school buildings and rooms. These features and many others allow users to make detailed timetables that can be used as a guide for students and faculty. 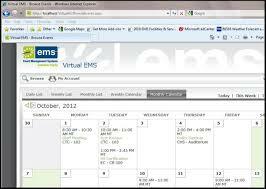 Create timetable scheduling and then access it anytime and anywhere using EMS Campus. This software enables you to set up parameters for every class and automatically generate room assignments that are acceptable for students and teachers. Additionally, it can also be used for booking different school events and single or multi-day activities. Time Tabler is a powerful tool that can help you in scheduling teachers. It can be used to schedule part-time teachers, schedule staggered breaks, set consortium days, and manage school events. One of its special features is its self-checking capability which is useful for avoiding conflicting schedules. For instance, it will not allow you to book one teacher in different classes at one time. Actual scheduling can be done automatically, manually or with a combination of both. It also features FIT which gives you other options if your schedule won’t fit into an existing one. ScheduleOnce should definitely be on the list. I found it through this post. http://www.websurfmedia.com/best-online-appointment-scheduling-software/ . Tried many scheduling software but ScheduleOnce was the best among all. Got to know about other such software, which I will try in future. Thanks for this list though.